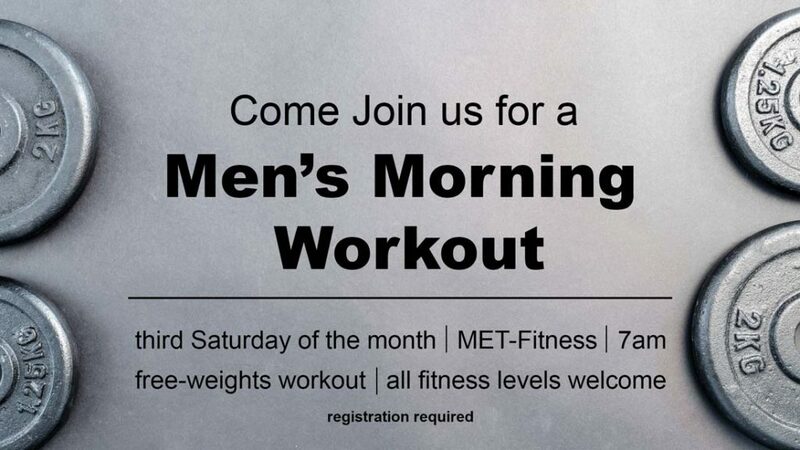 We want to invite men to come to our monthly Men’s Morning Workouts. Join Mason Stevens at MET-Fitness at 7am the third Saturday of each month for a free-weights workout. Space is limited so make sure and secure your spot by filling out the form below. If you have any questions please email Mason. All fitness levels are welcome at this workout. *Please fill out the above form as many times as you need to let us know what months you will be joining us.